Nestlé is touting KitKat's commitment to sustainable cocoa farming with a new series of ads set in the Ivory Coast (or Côte d'Ivoire)—starring Didier Drogba. The international soccer celebrity, who formerly captained the country's team, appears in the centerpiece video, one of four lengthy clips. The Ivory Coast is the world's biggest producer of cocoa beans. YouTube travel personality Louis Cole hosts the series, which examines different facets of the confectioner's efforts to improve the lives of farmers who produce the key ingredient in chocolate. 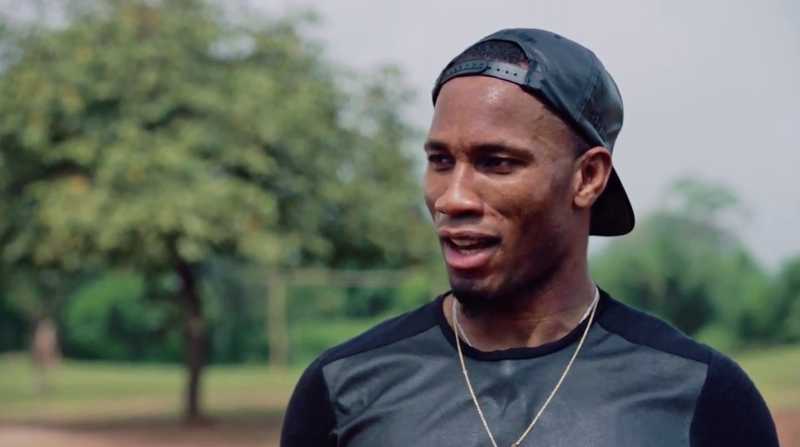 In the first ad, Drogba surprises children at a school in an Ivorian farming town. In keeping with KitKat's famous tagline, he gives them a break to play soccer. The ball, it turns out, is anything but ordinary: It doubles as a battery that charges kinetically when kicked around, and includes a special fixture that can power a light. Nestlé has built over 40 schools in Ivorian towns as part of its plan to provide better infrastructure for the families of farmers, and teamed up with Drogba's charitable foundation to build another. Other videos in the series reinforce Nestle's comprehensive efforts to develop more sustainable farming practices—including agricultural education for farmers, support for women seeking new income for their families, and oversight to prevent child labor. The process led to Nestlé declaring KitKat the first global confectioner brand sourced from "100 percent sustainable cocoa." That statistic does not include the U.S., where competitor Hershey's manufactures and markets KitKat. But Hershey's, for its part, has already promised that in 2016 it will source enough sustainable cocoa for all domestic KitKat production, along with three of its other most popular global brands—Hershey's, Kisses and Brookside. In fact, worldwide confectioners like Nestlé, Hershey's and Mars have broadly committed to increasingly sell chocolates produced with farming practices that better serve the mostly small-scale farmers at the bottom of the supply chain—partly to meet demand from consumers of socially conscious goods, and partly to ensure the longevity of the industry, which depends on raising farmers out of a hopeless cycle of subsistence living to incentivize continued cocoa production. And while manufacturers work with third-party nonprofits like Fair Trade and Utz Certified—a representative from the latter appears in one of Nestle's new videos—to ensure standards for sustainability are being met, it's unclear whether such efforts are sufficient to secure the futures of farmers—and chocolatiers—in the long term. Still, Nestlé's stories are nonetheless feel-good watches (the darkest moment is probably spent imagining the risks of shelling cocoa beans with a machete, a technique made obsolete by a new tool). At the very least, they might make consumers feel a bit better next time they reach for a chocolate bar … and that is, after all, the point of a chocolate bar. Two more videos appear below.